Carrington Court has always offered other types of furniture besides parsons and dining chairs, but they were our sole focus on our website. 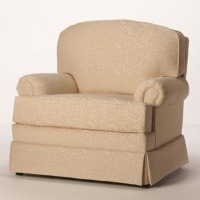 Over the last few months we have greatly expanded our offerings and you can now order wing chairs, easy chairs and arm chairs. This is just the beginning and going forward we will be regularly introducing new designs. Can we make it both high in quality and affordable? Will the cost of shipping be reasonable? Can it be delivered in a reasonable amount of time? Quality and affordability are usually not an issue, but with oversize items shipping costs and delivery times have always been a problem. We don't want you to pay an arm and a leg to get your furniture or to wait months on end to have it delivered. Earlier this year we finally worked out a good shipping solution--one that meets our requirements. 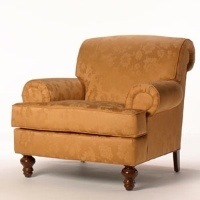 In the last month or so we started offering wing chairs on the site and today we started an entirely new category called "Living Room Chairs." I know...I know. It's not a very originally name, but it encompasses a variety of furniture styles that are usually (but not exclusively) found in the living room. These are both great designs, but I've got to say that the Chandler Chair is just absolutely gorgeous. This is just the beginning and there is more to come, but if there is a particular style that you would like us to offer; we want to hear from you.